Finishing the Coconut Milk (photo heavy post) | What Smells So Good? I know, I've been AWOL the past couple days. I wish I could say I had a good excuse... does laziness count? Actually, yesterday I was a bit too frazzled to think up anything to write about, since a "quick" trip Andrew and I took out to our local Walmart became a 30-minute nightmare in which my car's key refused to turn in the ignition, leaving me on the border of hysteria and Andrew verging on beating my car's steering wheel with a sledgehammer. Luckily, Andrew's muscles managed to force the key to turn (thankfully not breaking the key!) and we were able to make it home just in time to scarf down lunch and then run off to pick up my little sister! Today, though, I can take it nice and slow. It's a snow day for us, having weathered a blizzard overnight and into mid-morning, so we're all still lounging in our PJ's while performing all the tasks we can from home. For me, that means experiment time in the kitchen! 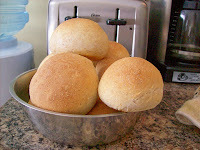 I had half a can of coconut milk left over from the birthday cake I made and didn't want to toss it (since none of us here are partial to coconut), so I tweaked a basic roll recipe and came up with a slightly sweet, soft, multigrain bun that came out of the oven smelling fantastic! 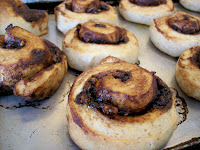 While half t he dough was rolled into basic balls, the other half became the base for sweet spiral buns filled with chocolate, coffee, and pecans! The only problem I have now is what the heck to do with 20 rolls! I'm betting most of them will go into the office with my mom and I tomorrow and will "mysteriously" disappear in the coffee room, but I figure Andrew may take one too, as will my dad, since they're both such good sports about my baking exploits. They can have a bite for me, and hopefully they'll love eating these as much as I loved making them, and that they're as good as they smelled fresh out of the oven! I'm celebrating having a snow day today, what everyday things do you like to celebrate? March's Bread Baking Day theme is just that... celebration breads... and Susan at Wild Yeast is doing the round up this time! In case you're wondering, the founder of BBD's birthday is this month too, so birthday breads are welcome! See you there! Dissolve 1 teaspoon of sugar in ½ cup of warm water. Sprinkle in the package of yeast. Let it stand for 10 minutes and then stir. Heat the milks to lukewarm, stirring. Add in sugar, salt, and water. Mix the flours and gluten in another bowl. Add the heated milk mixture and 2 cups of the flour blend to the dissolved yeast mixture. Beat until the mixture is smooth and elastic. Gradually stir in the remaining cups of flour. The dough should be soft and easily leave the sides of the bowl. Turn the dough out onto a floured surface and knead the dough until it is smooth, elastic and not sticky. Resist the urge to add more flour, it will come together! Place the dough in a lightly greased bowl. Turn the dough so that the top is greased as well. Cover, and let the dough rise in a warm place until it has doubled (about 1 1/2 hours). Turn it out onto a lightly floured board, knead 1 minute. Cover and let rise 40 minutes. Bake for 18 - 20 minutes. 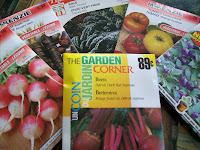 Yup, there's white-tipped radishes, purple carrots, Tuscan kale, multicoloured heirloom tomatoes, hot purple peppers, and dark-red giant beets! 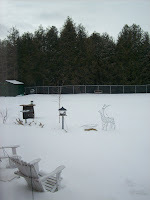 I can see the salads now... hope the summer sun shines for us soon! I've been in California so long I'd all but forgotten about snow days. Definitely something we celebrated as schoolchildren in New England. The coconut milk sounds like a lovely addition to the dough. Thanks for participating in BBD this month! I saw these at the bread roundup and oh my goodness! They look delicious!! What an excellent way to finish off coconut milk! These all look fantastic!